Why is content marketing so effective in business growth? 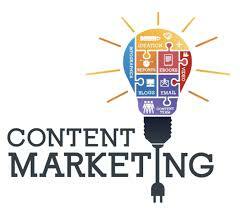 Content marketing is the art of influencing highly targeted leads to take the desired action. It helps businesses because it converts their leads to clients. Therefore, it is designated to be an important aspect of marketing strategy. It differs from other marketing concepts, namely direct response and brand marketing as it is used to stimulate interest in a product or service by creating helpful, informative content rather than promoting a brand. It gives the organization liberty to explore and decide different forms of representation of the information. To mention a few: infographics, videos, images, social media posts, blogs and more. the focus is given to answering the target audience’s questions through demonstrating the product/service provided by the organization. Through content marketing, when one receives positive responses – they gain the trust of the audience thus influencing business growth. Gradually, they are portrayed to be experts in the field or specialty. Hence, one becomes a valuable resource and attracts to-be clients. Overtime, relevant information you provide interests your audience and they engage with you. You interpret the audience made the decision to reach out to you and the probability of their interest in your product/service is high. This gives you the opportunity to deepen your relationship with them and ultimately lead to a sale. Thus, opting for content marketing as a marketing strategy will help in the business growth.